Stanley A Berk, 86, of Lancaster died early Tuesday morning, April 17, at Garden of Lititz where he resided for two weeks. Stan was the son of Morris and Gertrude Berk of Easton, Pa. He was predeceased by a brother, Donald. Stan was a graduate of Easton High School and Penn State University. Upon graduation he started a career of retailing at Laubachs, Easton, S. Klein, Philadelphia, and Gimbels. In 1970 he was transferred to Lancaster as general manager of the new Gimbels which opened Park City. He remained with Gimbels until they were sold in 1986. While at Park City he was the president of Retailers Assoc. for two terms. He finished his career as an associate of Allied Medical supply for ten years and later Apex Assets Management. Stan was a former member and board member of Temple Beth El. He also served three terms as president of the board at Lancaster Jewish Community and then one year as interim director. He is survived by his wife of fifty years, Dianne and three children, Marti, Philadelphia; David (Susan); and Michael (Kathryn). Also surviving are four grandchildren, whom he adored; Devon, Morgan, Mackenzie, and Hailey. 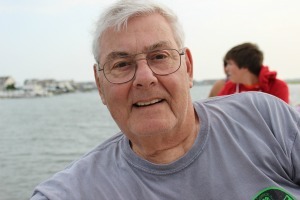 He loved spending time with his family, being out on the water at the river and shore, PSU Football and Philly sports teams. He was happy to see the Eagles finally win the Super Bowl! Arrangements which are private are being handled by the DeBord Snyder Funeral Home. Donations may be made to charity of choice or Philadelphia Eagles Charities in his name. Diane and family – So sorry to hear that Stan has passed. He was one of the most influential people in my life and I am so fortunate to have worked for him and to have him for a mentor and friend. The lessons he passed along to me and the others in the Gimbels Lancaster family continue to help and guide me 40+ years later. I still miss those days but I’m very proud of the contributions he made and the lasting impact he had on so many of us. And thank goodness he lived to see the Eagles finally win it all! You are all in my thoughts and I hope you know how meaningful your husband and father was to me and so many others. God bless him and all of you. Our sincere condolences at Stan’s passing. May the good memories console you and help to mend your grief. I am so sorry for your loss. My thoughts and prayers are will you as you go through this difficult time. I am sorry for your loss of Stanley. May the “God of all comfort” embrace you and bring to your minds joyful memories. (2 Corinthians 1:3,4) All the best wishes for your family at this difficult time, take care.